Ken is the Director of the Nez Perce Tribe’s Water Resources Division. He is responsible for overseeing and providing day-to-day management for all programs within the Division. Before becoming Director, Ken worked as the Water Quality Program Coordinator for the Water Resources Division, overseeing the Surface Water Quality Program, the Nonpoint Source (NPS) Management Program, and the Wetlands Program. He has worked for the Tribe since 2010. Before joining the Tribe, he spent nine years as a water quality analyst for the Idaho Association of Soil Conservation Districts (IASCD), developing and implementing water quality monitoring projects throughout north-central Idaho. Before that he worked for the Idaho Department of Environmental Quality, conducting riparian surveys. Ken has a Professional Science Master’s (PSM) degree in Natural Resources and Environmental Science from the University of Idaho, with an emphasis in Water Resources Management. He also received his Bachelor of Science degree (B.S.) from the University of Idaho in Environmental Science. 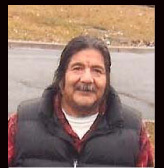 Chris began working with the Nez Perce Tribe in 1977 in various secretarial jobs. In 1986 she accepted the offer to work for the Water Resources Division as Secretary. She provides assistance to the Director and other management level positions regarding a variety of administrative tasks that support the division’s overall goals and objectives. She is the mother to Adam and grandmother to Jaydan, Alexya and Mariah. Her hobbies include anything to do with her grandkids and music. Judy is a GIS Specialist who works with the Groundwater Program and UST Inspection. She is also the guru of all things technical, and provides support to everyone in the office. She is also a local farmer. 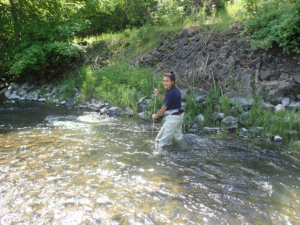 Alicia works on water quality monitoring and restoration projects. Rue is the Tribe’s wetland specialist. 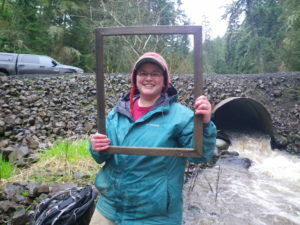 She is working on wetland restoration planning, and wetland education and outreach. She spearheaded the development of the Lapwai Nature Trail, and is working on signs, a straw-bale educational center, and weed remediation. Prior to working for the Tribe she worked for the Miami Zoo, She is passionate about conservation, and has traveled to the tropics to help save wild elephants, and other species. 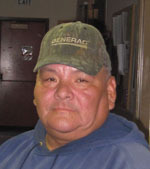 Casey has worked for the Nez Perce Tribe since 1997. 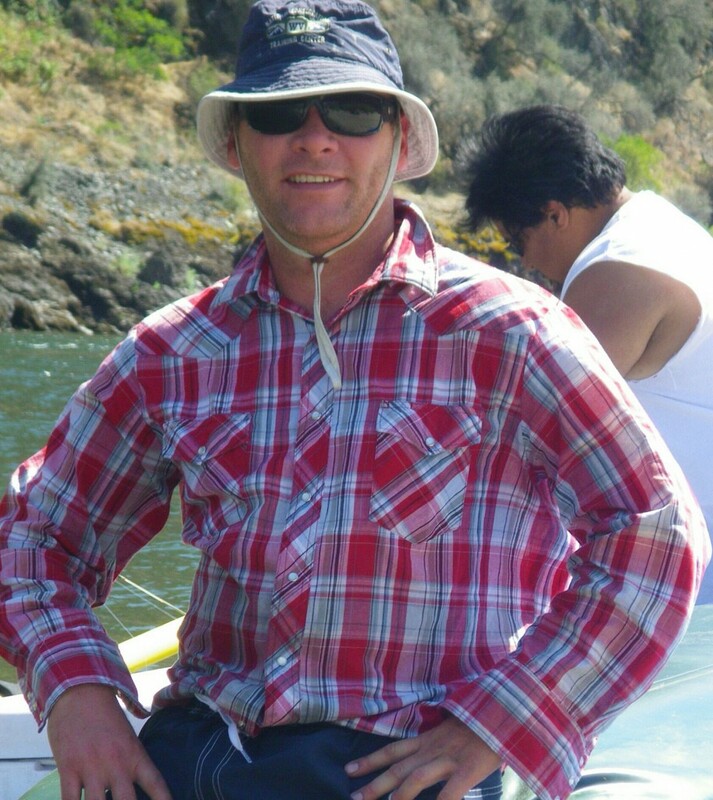 He worked for the Fisheries Department’s Spring Chinook M&E program in Orofino from 1997 until March of 2006 when he came on board the Water Resources Team. Working with the 106 and 319 programs, Casey is in charge of field operations including water sampling and habitat restoration. 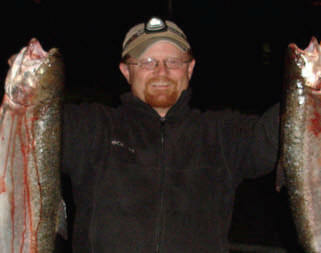 Casey enjoys hunting, fishing, golf, rafting, cooking and spending time with his family. Sierra is an enrolled member of the Nez Perce Tribe. She has worked at the Nez Perce Tribe’s Water Resources Division since April, 2018. 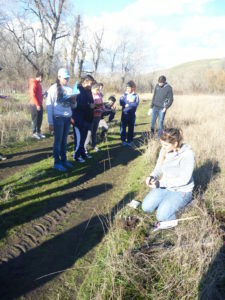 Sierra works on water quality and restoration projects. Sierra has a Bachelor of Science degree from the University of Montana Western in Biology. She is currently working towards a Master’s degree at the University of Idaho. Her hobbies include: staying active with exercise, sports, and traveling! She also loves spending time with her family. Linda has been working at Water Resources since 2016. She reviews and analyzes local, state federal, and Tribal policies and documents, and reviews and edits technical documents. She also researches grants, and writes and edits grant proposals. She helps everyone with something from providing education and outreach, to helping manage the solid waste program for the Tribe. 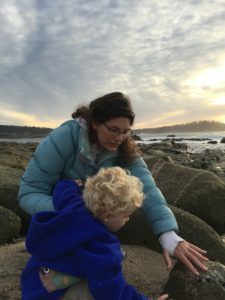 Prior to joining the Tribe, Linda worked as a Quality Assurance Officer and as Assistant Lab Director at Northwestern Aquatic Sciences. She has an M.B.A. from Northwest Nazarene University, and a Bachelor’s of Arts in Biology from Rutgers University. After working in area sawmills for 35 years, Marcus joined the Water Resources team as a seasonal employee in 2007. 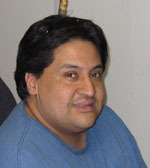 He became a permanent technician in 2008 helping out the 106 and 319 programs. Changing careers was quite a challenge for Marcus, but his progress with learning to use a computer and process data has been excellent. Outdoor field-work is what Marcus enjoys the most. Marcus is the father of five children and has thirteen grandchildren. Marcus enjoys hunting, fishing, golf, and spending time with his family; especially watching his grandchildren play sports. Jon has been married to his beautiful wife for five years and they have two children. He is a Nez Perce Tribal member and has worked in the Water Resources Division for 15 years and for the Nez Perce Tribe for 18 years. He is currently an Waste Water/ Water Operator in the Utility Department. Melvin works under utilities in multiple tasks assisting with the operations and maintenance of the water and wastewater systems, ground maintenance, and solid waste. Melvin has worked for the Water Resources Division since 2007. His professional career consists of management, security, and tractor operation. He is a family man. Errol assists operators in the operation and maintenance of water/wastewater systems and the waste diversion operations in Kamiah. He has previous knowledge of water and wastewater operation from the military, works well with tools, and is willing to learn. He is a family man. Roberto (aka Tote) will be the back-up wastewater treatment plant operator. He has a level 2 wastewater operation license certification from the state and a level 1 water certification from the state. 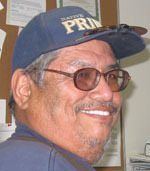 He has worked in the Lapwai region for most of his life, primarily with water and wastewater systems, for the City of Lapwai and for the Nez Perce Tribal Housing Authority. Tote is very mechanically inclined and pays close attention to detail. He is working toward the experience to achieve a level 3 wastewater operation license, as the back-up operator of the highly technical Lapwai Regional Wastewater Treatment Plant. 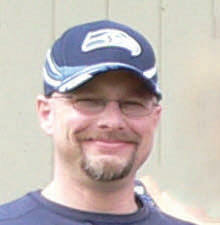 Jason is the main operator at the Lapwai Regional Wastewater Treatment Plant. Schooling was from St. Cloud, Minnesota with a focus on water and wastewater, graduated in 1994 with a two-year degree. Jason currently is certified as a Level 3 operator for water and wastewater. Jason has also had training in inspection courses with EPA, NPDES permit writing courses and keeping current with the operator courses. He is a family man, loves motorcycles, and enjoys hunting. Stefanie is the Resilience Coordinator for the Nez Perce Tribe. She is responsible for creating and managing a sustainability and community resilience program for the Nez Perce Tribe that will help secure the well-being of the Nimiipuu and their homelands in a changing climate. Before joining the Tribe, she worked to protect rare, special-status, and endangered species for thirteen years as a planner, wildlife biologist, and research assistant in California working for EMC Planning, Garcia and Associates, Point Blue Conservation Science, The Institute for Bird Populations, the U.S. Geological Survey, and the University of Nevada-Reno. 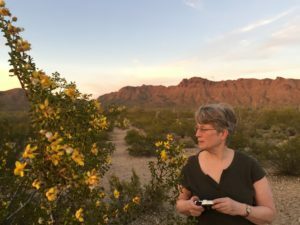 Her personal interests also include health, environmental justice, environmental restoration, solar, community gardening, and permaculture, and she is an avid bird watcher who has traveled around the world to learn first hand about birds, animals, people, and ecosystems, and the challenges they face. Stefanie has a Master’s Degree (M.S.) in Resource Ecology Management from the University of Michigan, with an emphasis on ecology and biological diversity in agricultural ecosystems. She has a Bachelor’s of Science (B.S.) from McMurry University in Biology. Eric Walsh joined the Tribe in 2017 to help write the Climate Adaptation Plan. He is working on data visualizations, mapping and modeling. He is a Ph.D. student at the University of Idaho. 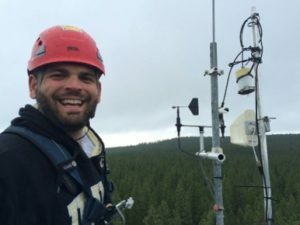 His research focuses on modeling the biogeochemical and forest composition responses of the Northern Rockies Ecoregion and the subsequent population responses of avian cavity nesters to climate change. Prior to starting his Ph.D., he ran his own business and worked for the EPA. He has an extensive background doing ecological research. 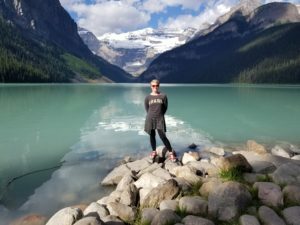 Amber joined Water Resources as a Climate Change Specialist in June 2017, after graduating with a Master’s degree in Anthropology from the University of Idaho. Her graduate work focused on social-ecological systems and interdisciplinary collaboration. In her free time, she likes to hike and read science fiction.